"Jason is exactly the type of fighter we want to have fighting on Star Boxing shows," said DeGuardia. "He is exciting, he always comes to fight, and he has concussive knockout power in both hands. We had Jason on one of our shows in Atlantic City last summer, and we were very impressed. We are looking to start building his name, and further building his growing fan base throughout not only New Jersey, but New York as well. I strongly believe Jason has all the tools to one day rule the super middleweight division, and we are excited to be adding him to our stable." Escalera, who was raised and still resides in Union City, New Jersey, first picked up the gloves when he was thirteen-years-old, but didn't start getting serious with the sport till he was seventeen. 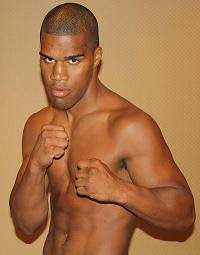 After a successful amateur career, which saw him win the 2007 NJ Golden Gloves Light Heavyweight Championship, Escalera turned pro in February of 2008, scoring the first of his nine knockouts through ten professional fights. Escalera is coming off a brutal 2nd round stoppage over Cleoney Fugua in his last bout in October of last year. Through ten professional fights, only one of Escalera's opponents has made it to see the fourth round. Escalera makes up the missing piece to Star's now complete middleweight division three-headed monster, as he joins fellow undefeated prospects, jr. middleweight Demetrius Andrade (12-0, 8KO's), and middleweight Brandon Gonzales (14-0, 10KO's). DeGuardia is very optimistic of the trio, stating, "I envision that within the next year or two, we will be sitting atop the throne of the jr. middleweight, middleweight and super middleweight divisions. It's going to be a very exciting time for all of us at Star." Look for an announcement as to the date when Escalera will be making his Star Boxing debut very soon.